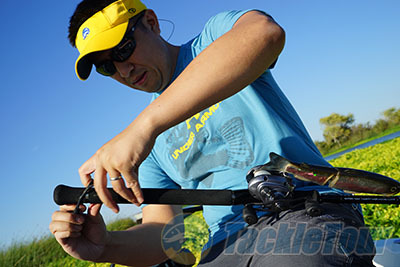 Introduction: Have you ever been fishing all day and started to feel your fingers and hands get worn down by gripping the trigger on your rod too tightly? Perhaps you even fished so hard that you even got a blister. 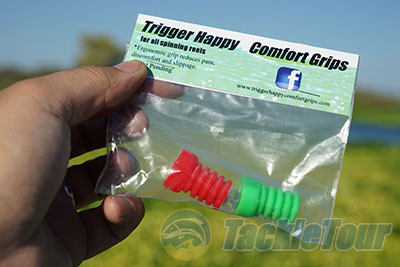 To address this issue a company called THCG (Trigger Happy Comfort Grips) has introduced a patent pending product that is designed to be an easy to deploy solution. What are these new fishing accessories? Impressions: When the Trigger Happy Comfort Grips first debuted the original model resembled a flat rubber fingertip, the kind that you buy from OfficeMax to aid in sorting papers and envelopes. 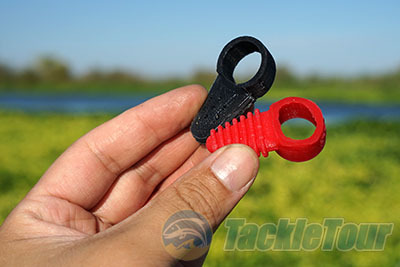 Instead of going on your finger the THCG is applied to your casting rod trigger and is designed to relieve the discomfort caused by gripping the hard plastic trigger for extended periods. We checked out these original grips and found them easy to install and that they delivered on their promise of providing a soft buffer between your finger and the trigger. 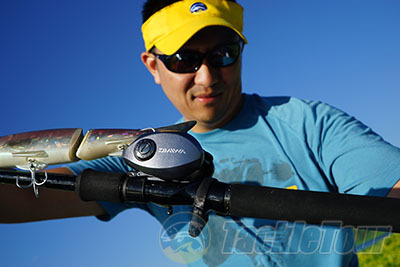 This season the company has introduced two new products, a new casting model and a spinning grip that is designed to go on the support arm of your reel. Like the original these new models are all constructed out of a highly elastic rubber compound that is designed to be soft to the touch yet still highly durable. 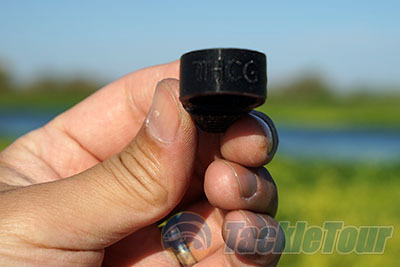 The top of the casting ring is branded "THCG"
Real World Tests: We have been using the Trigger Happy Comfort grips for the last three months and documented everything from the initial installation process to just how well they have performed in the field. We have employed the grips on a variety of casting and spinning outfits and used them while fishing everything from drop shot rigs on spinning outfits to casting 6oz. swimbaits with heavy duty big bait rods. Operation: Before we go into details of fishing with the different THCG options let�s explore the installation of the newest versions. Both of these require an extra step over the original version which was simply slipped onto the trigger. 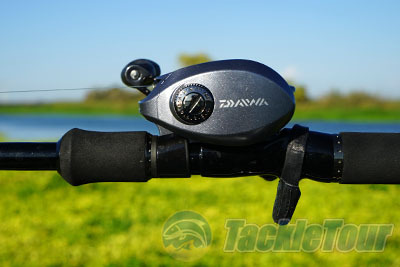 The new casting model has a ring appendage on top of the grip that is intended to slide over the handle of the rod all the way up to the reel seat and trigger. I found this installation to be quick and easy, even on larger diameter big bait rods. The ring offers plenty of elasticity making it easy to work up the handle. Once mounted on the trigger the ring provides an exceptional anchor point pulling the THCG up the trigger and maintaining pressure on it at all times so it doesn�t move around or slip off during casting.